Only three miles from Giverny, the town of Vernon is worth a visit. 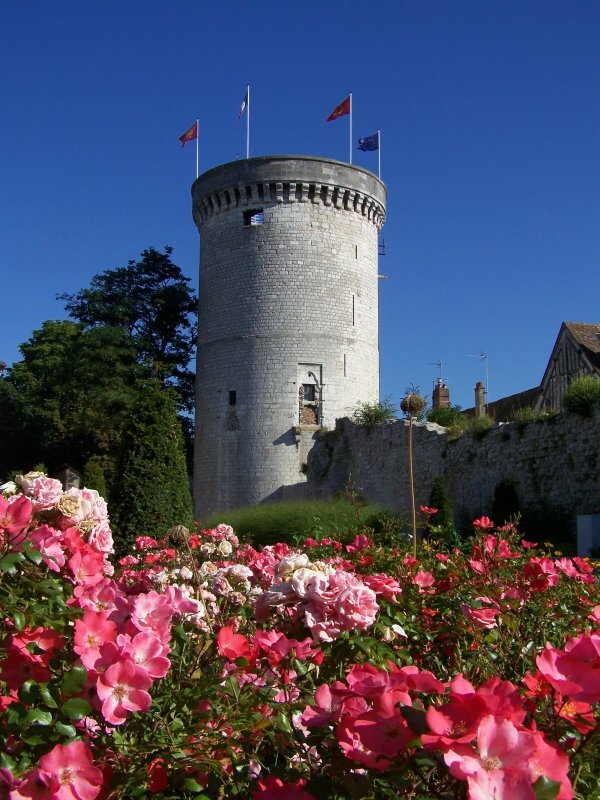 This tower is the keep of the castle built in the 12th century by the French king Philip Augustus. At this time Vernon was on the border with the kingdom of England. Strongholds were built on each side of the border materialised by a stream called the Epte. The keep of Vernon was used during the 19th Century to store the town archives. Now it is just a landmark of the town. It dominates a charming public garden called ‘jardin des Arts’, garden of the arts.